Based in a Dallas suburb, Plano, The Riegel Center focuses on longevity treatments for men and women, 35 years of age and beyond. The team is led by Christopher j. Riegel, MD, who has over 30 years of clinical research and practice experience. Dr. Riegel is recognized one of the leading experts in sexual hormone therapies in the country. At The Riegel Center, patients are offered cutting-edge, proprietary hormone formulas, anti-oxidant and anti-inflammatory treatment strategies. Dr. Riegel handles all patients personally. 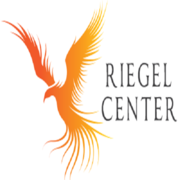 The Riegel Center serves Dallas, Ft. Worth, Southlake, the Park Cities, Austin, Houston and San Antonio. But medicine is no longer local. It isn't essential to visit The Riegel Center to have access to his expertise. Dr. Riegel has patients all over the US through their local labs and virtual appointments. To schedule a consultation, call (888) 386-0237 or visit theriegelcenter.com for more information. Rate and review The Riegel Center in Plano, TX, United States! Share your experiences at The Riegel Center with your friends or discover more Physical Therapy in Plano, TX, United States.